The Ad’Eldorado is a warm, friendly and family-run 3* hotel, managed by the charming owners Didier and Lucy Bonvin and their team. 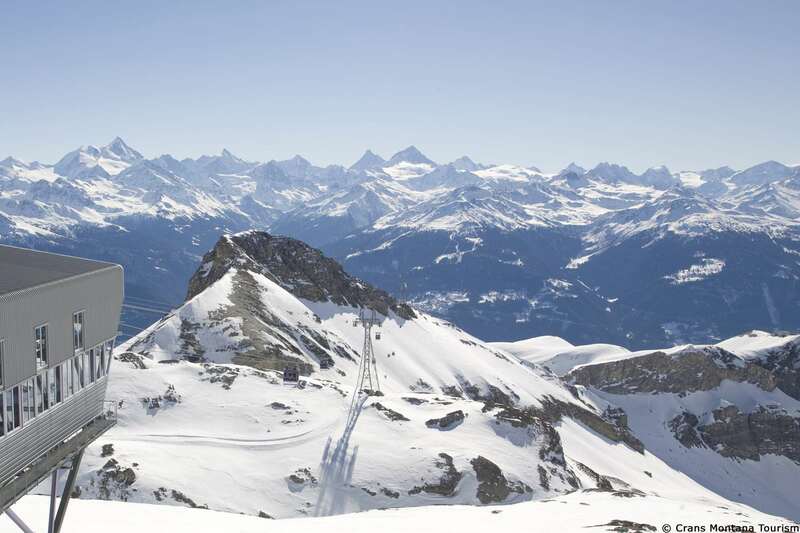 The hotel is situated in a quiet location on a high plateau in Crans-Montana enjoying spectacular views, approximately 1.5km from the Montana Funicular and within an easy walk of both Crans & Montana. The ski lifts can be walked to in under 10 minutes (approximately 1km), there's a free ski bus and the hotel also provides a shuttle service on request. This hotel is unassuming, unpretentious and a true 'home away from home' offering excellent value for money and great cuisine. Featuring wood floors and furnishings, the 30 bedrooms and suites offer free Wi-Fi and balconies with very special mountain views, cable TV, safe and ensuite bathroom/shower with WC. Suites also have a sitting area. The on-site bar serves regional wines from their own wine cellar and once a week the hotel organises a musical evening, raclette specialities and a barbecue. The hotel has two massage rooms and offers various body and beauty treatments, amongst them Ayurveda and Aromatherapy, which can be booked and paid for on the spot. There's also a sauna at your disposal. A super buffet breakfast featuring organic products, fresh juices and home-made jams. In the evenings you'll sit down in the panoramic restaurant, complete with piano and fireplace, to a wonderful 5-course meal, freshly prepared with menus offering traditional mountain dishes and local specialities.